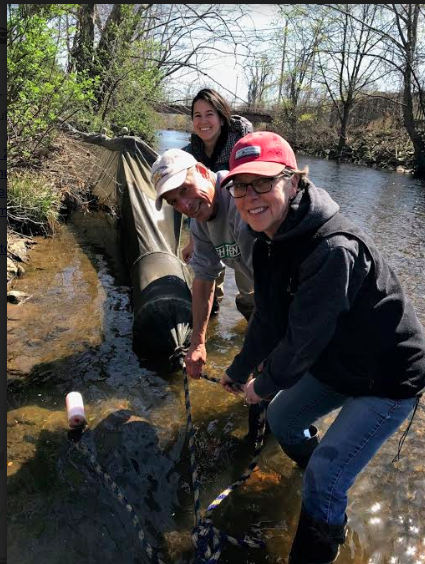 Volunteers participate in American Eel Projct at Minisceongo Creek in 2018. A record for the estuary was set at the mighty Minisceongo with almost 46,000 glass eels and elvers relocated above the nearest barrier. This project is one of many hosted on the creek each year (left). A boy picks up debris along the Hudson River in Haverstraw (right). 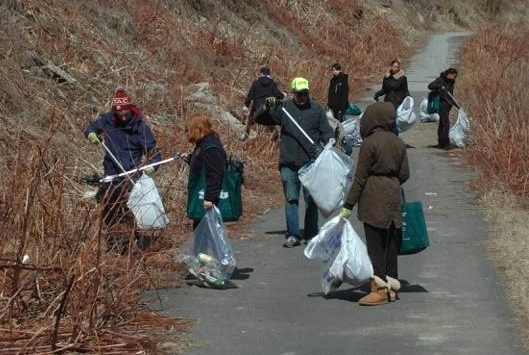 PRESS RELEASE – This Saturday, October 27 volunteers will gather at Garner Arts Center at 10:00am to clean up the Minisceongo Creek, which runs throughout Northern Rockland and feeds into the Hudson River Estuary. The cleanup is the first opportunity to learn about the emerging Minisceongo Creek Watershed Alliance. In case of inclement weather, registered volunteers will be contacted by Keep Rockland Beautiful and advised of the day’s proceedings. A great opportunity to enjoy time outdoors and protect the local environment, the group also seeks to advocate for sustainable watershed practices and mitigate environmental issues surrounding the creek including water quality, erosion control, flooding, and more. The event will offer engaging activities for the public, including: Creekside Adventures, Visions for the Future of the Minisceongo, and open studio galleries at Garner Arts Center that afternoon. Industrial Arts Brewing Company will be offering discounts to cleanup volunteers, too. The Minisceongo Creek Watershed Alliance includes Keep Rockland Beautiful, the Village of West Haverstraw, Rockland County’s Soil & Water Conservation District and Conservation & Service Corps, and Garner Arts Center. Working with The Nature Conservancy, the Hudson River Watershed Alliance, and the Hudson River Estuary Program, the group identified several projects concerning environmental health of the creek and its impact on the surrounding area. The cleanup of the Minisceongo Creek on October 27th is intended to raise public awareness and engage the community. 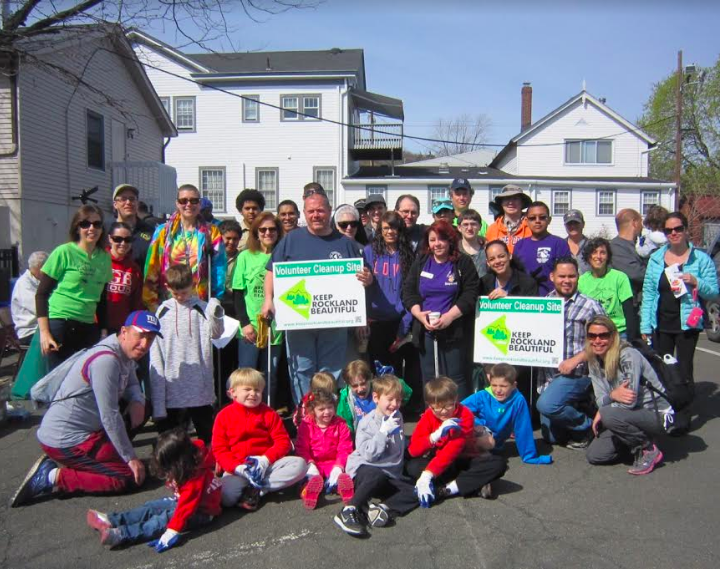 Keep Rockland Beautiful’s Fall Waterways Cleanup communicates the importance of clean waterways and natural resource-protection while developing strong community bonds and shining a light on our community partners who work to better the environment and their community. The formation of the Alliance was sparked by The Nature Conservancy, Scenic Hudson, and Hudson River Watershed Alliance at a workshop in 2017. To register, visit www.keeprocklandbeautiful.org. Participants are encouraged to invite family and friends. For information, please contact the Keep Rockland Beautiful office at (845) 708-9164 or email cleanups@keeprocklandbeautiful.org.